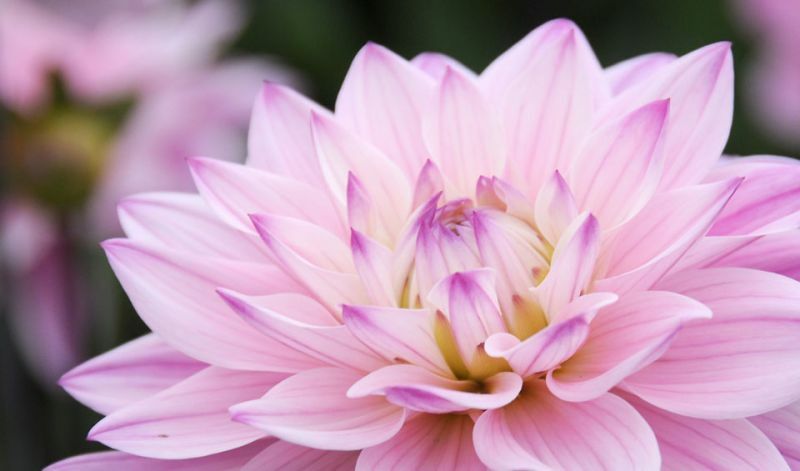 The specially selected varieties (mostly decorative and cactus types) in this series have long, straight and strong stems (no staking is needed) making them excellent cutflowers that will last from 7-12 days provided they are put in water immediately after cutting (this true for all dahlias). Flower diameters are approx. 5-6" / 13-15 cms. 'Amanda' (white & lilac), 'Bon Bini' (yellow & red), 'Choc' (dark red), 'Fuchsiana' (red), 'Lagoon' (purple-blue), 'Prospero' (lilac-pink), 'Serena' (white) and 'Yin Yang' (dark red, white tips).